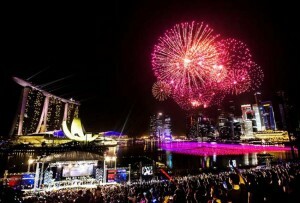 Singapore just became 50 – a time span that saw the small city state transform from third world to first in record speed. The question is: Can the nation keep its momentum another 50 years onwards? In fact, Singapore’s economy – given its highly developed level – continues to perform well, and is expected to grow at about 3 per cent in 2014–15, and enjoy full employment and low inflation, according to the latest economic assessment of the city-state by the international Monetary Fund (IMF). The report, which was released on the eve of the 50th anniversary of Singapore’s founding celebrated between August 7 and 10, 2015, says that the uncertain global recovery and the turning of Singapore’s credit and housing cycles are contributing to a moderation of consumption growth and capital accumulation. But domestic demand has been supported by a more accommodative monetary policy since January, as well as a supportive fiscal policy and lower energy prices. The labour market is tight, with unemployment below 2 per cent, inflation is subdued and there is little sign of inflation pressure. The Monetary Authority of Singapore (MAS) operates a basket-band-crawl exchange rate–based monetary policy tailored to the country’s economy. The country is heavily dependent on exports, and this makes the exchange rate the dominant channel of monetary policy. MAS shifted to a more accommodative policy stance in January, by reducing the pace of appreciation of the nominal effective exchange rate band from 2 to 1 per cent. This move seems appropriate, says the IMF report, as inflation expectations are well anchored and downside risks to growth dominate. Changes in Singapore’s exchange rate are linked (through interest parity) to changes in domestic and international interest rates. The reduction of the pace of appreciation of the Singapore dollar is contributing to tighter credit conditions. As US rates normalise, interest rates in Singapore are expected to increase. Rising levels of leverage may lead to a strengthening of the interest rate channel of monetary policy transmission. Stronger adjustments in the exchange rate may be required in the future to achieve monetary policy objectives. Singapore’s financial cycle has turned, says the report. Credit growth is moderating and house prices are registering a modest, gradual decline supported by the active use of macroprudential policies. Risks are related to the high level of household leverage as interest rates rise. But aggregate household balance sheets are strong and the additional debt service burden should be manageable. Risks from banks’ exposures to housing-related debt appear limited given the low unemployment, high rates of home ownership, and high down payments mandated by tight loan-to-value limits. Corporate sector leverage has risen since the global financial crisis, but companies’ debt servicing capacity remains high. Singapore’s fiscal policy is guided by medium–term sustainability, and efficiency considerations. Low rates of taxation and a clean and efficient government have supported a strong business climate, and contributed to high growth rates. Fiscal surpluses have resulted in the buildup of significant fiscal buffers. In recent years, and in the face of rising inequality and a rapid prospective aging of the population, the authorities have placed growing emphasis on enhancing inter- and intra-generational equity. Infrastructure projects, expanded health care and education facilities, as well as targeted transfers to households are all expected to raise modestly the size of government. This spending should help raise potential growth but is also appropriate from a business cycle perspective, providing welcome support to demand at a time when risks to growth are tilted to the downside. Measures to enhance equity include an increase by 2 percentage points in the top marginal tax rate, and the “Silver Support” scheme which will provide cash transfers to elderly in the lower-income groups. Singapore is aging rapidly. Singapore’s pension system, the Central Provident Fund or CPF, is a fully funded, defined benefit pension system based on mandatory contributions by employers and employees. In the face of an older population and high income inequality, the Singapore government has taken measures, including in the 2015 budget, to strengthen retirement incomes, especially for low income pensioners, and make the CPF more flexible to members’ needs. They include a higher salary ceiling for CPF contributions and higher interest rates for CPF members aged 55 and above on the first S$30,000 of their CPF balances. From the first quarter of 2016, the Silver Support Scheme will pay between S$300 and S$750 per quarter to 150,000 elderly. More reforms are under study to facilitate monetisation of housing wealth, improve CPF annuities, and provide more flexible risk-return tradeoffs to CPF members. Faced with the physical limits of a city-state, and large inflows of foreign workers over the past two decades, Singapore has reengineered its growth model in recent years to emphasise skills- and productivity-led growth. Lower inflows of foreign workers are raising real wages relative to the cost of capital, which should drive up firms’ desired capital-labour ratios and boost investment. Lower inflows of unskilled workers should also help reduce the gap between wages of unskilled and skilled workers, helping to reduce income inequality. More restrictive foreign worker policies have raised the participation of older workers and others with relatively low skills, which raises inclusiveness but also restrains productivity growth. The government is employing measures to raise productivity. In addition to support for human capital investments, grants and tax credits are used to provide incentives for investments in technology and improved business practices, secure financing of startups, support small and medium-sized enterprises, and encourage business innovation and internationalisation. Infrastructure projects will also play an important role in supporting Singapore’s potential growth of about 3 per cent. During the transition, some firms are facing compressed profit margins, and are holding back on investment which is key to productivity growth. If this persists, a recalibration of labour policies and of incentives to firms and workers might be called for.